Universal Switching Corporation manufactures state-of-the-art programmable switching products for rugged applications, government subcontractors, industrial and commercial customers in the US and abroad. Their programmable switching products manufactured are employed for switching various types of electrical signals from a number of sources to one or multiple destinations. This is accomplished by means of remote computer control (software programmable) or intelligent front panel controls, or a combination of both. Remote control panels are available for larger group controlled installations. Software drivers are compatible with most operating systems to ease installation tasks. They also offer a complete GUI software package as well. These select configurations deliver various popular configurations of our products serving a broad base of installations around the world. State-of-the-Art designs and features deliver cutting edge performance and value. “Pre-Configured” solid-state, relay-based and digital rack-mounted systems with embedded high-performance controllers, local display, remote control panels, plug-in power supplies, hot-swap technology and CE. 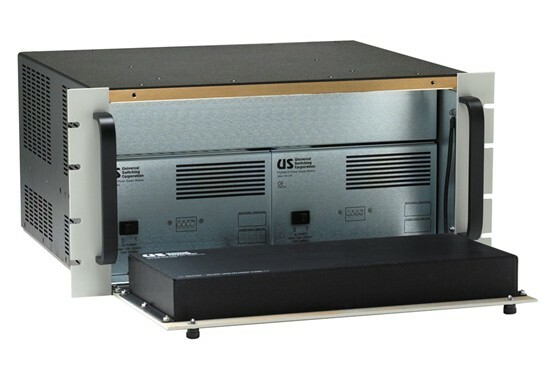 These compact systems provide the ultimate for both analog and serial digital video routing. Compact and feature loaded, the units are only 1RU or 2RU high and are turn-key out of the box for quick and easy integration. These units deliver high video signal performance coupled with advanced remote/manual control and monitoring. 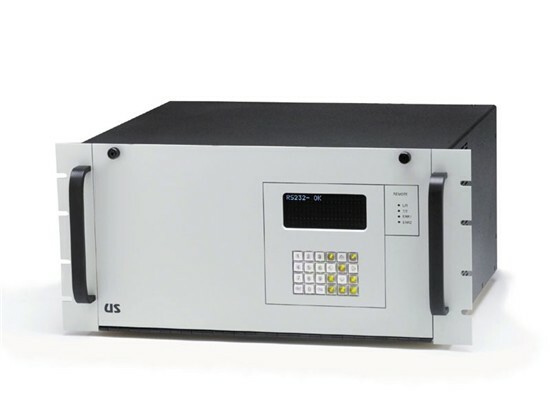 Designed specifically for the communications industry, the rack mount units provide front panel push-buttons and display as well as built-in serial control and 10BaseT Ethernet control ports. Our Series G2 product line is the next step in switching innovation. Besides having a new touch screen display, it delivers versatile products for analog and digital signals in a modular plug-in format. Solid-state, relay-based and digital rack-mounted systems with embedded high-performance controllers, local display, remote control panels, plug-in power supplies, hot-swap technology and CE marked for European export. Our VXIbus modules are designed for a number of switching applications including ATE, video and Digital equipment. 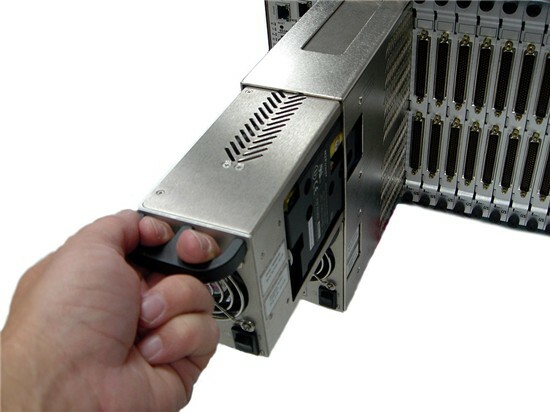 They install into any C-size VXI compatible mainframe. 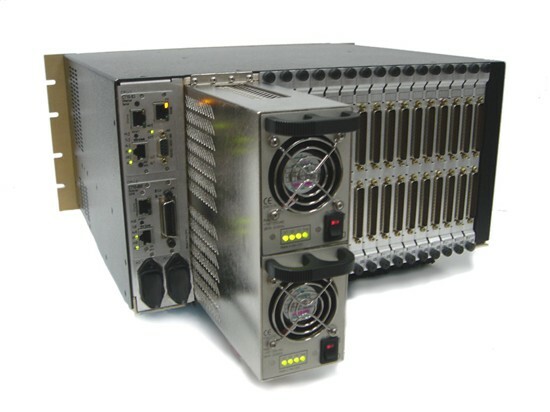 We are proud to offer one of the only available “ruggedized” VXIbus mainframes available on the market. The unit delivers 11 slots and meets extremely difficult parameters including temperature, shock and other environmental specifications. This field-proven product has what no other switching manufacture can deliver. It provides a solid-state high performance, high frequency configuration that is the most dense available. Perfectly suited for 422 digital data/clock, audio, video or other types of signals ranging from DC to 125MHz, the S2560E is specifically designed for the system professional demanding high signal performance with small compact packaging, and exceptional affordability. It is available in either analog or 422 digital versions (D suffix). The digital version can support 422 data rates to 50Mbps. Unlike the System S2561E or S2562E, the S2560E has balanced inputs and outputs, not single-ended. This single-ended field-proven product has what no other switching manufacture can deliver. It provides a solid-state high performance, high frequency configuration that is the most dense available. Perfectly suited for audio, video, PCM, clock/data or other types of signals ranging from DC to 125MHz, the S2561E is specifically designed for the system professional demanding high signal performance with small compact packaging, and exceptional affordability. Unlike the System S2560E, the S2561E has single-ended inputs and outputs, not balanced. This single-ended field-proven product has what no other switching manufacture can deliver. It provides a solid-state high performance, high frequency configuration that is the most dense available. The S2562E is specifically designed for audio, instrumentation or other types of signals ranging from DC to 2MHz. The S2562E was specifically designed for the system test engineer demanding low distortion and precision DC gain or offset, high signal performance with small compact packaging, and exceptional affordability. Unlike the System S2560E, the S2562E has single-ended inputs and outputs, not balanced. High performance and expandable, the third generation S6400D offers coaxial switching configurations as small as 8×8 and can be expanded to a full 64×64. Simply install more modules in the field. Configurable for Video, RF, IF, Data and many other types of signals. High performance and expandable, the fourth generation S2084D offers a tremendously flexible architecture for high density 19″ rack mounted switching configurations. A total of twenty rear-facing module slots are available to install a growing number amplifier or switching module types. Modules span DC-26GHz and include distribution amplifiers, attenuators and a variety of switches. Designed for parallel switching of RS-232 data or other similar types of data, the S6025D delivers compact solid-state switching in an expandable configuration. The unit can start as a smaller size and be expanded later to a full 60×60 array with 25 levels, perfect for switching RS-232 type data. It provides a choice or a combination of remote control including RS-232C, RS-422A, RS-485, GPIB (IEEE-488) and Ethernet (10base-T). The 10942B Redundancy (backup) IF Switching System provides backup selections for signals as high as 800MHz. 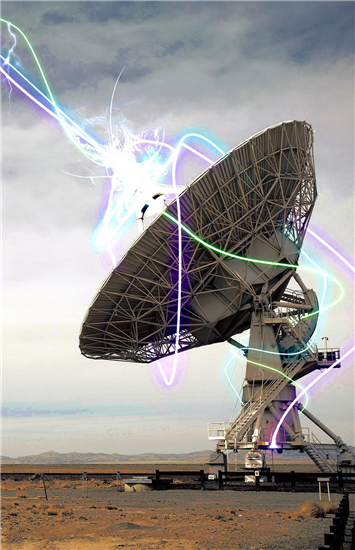 This product delivers ultra-high signal performance coupled with advanced remote/manual control and monitoring. Dual serial ports, or Ethernet and a single serial port configurations are available. Designed specifically for the satellite and communications industry, the 1RU high rack mount unit provides the user with normal through paths for four channels of IF signals (four in and four out). Under front panel, remote serial control, Ethernet or direct alarm input control, the user can select a backup signal to replace a suspect IF input signal. 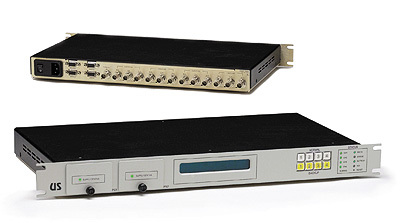 The 10943B Backup L-Band Switching System provides backup selections for signals up to 2.4GHz. 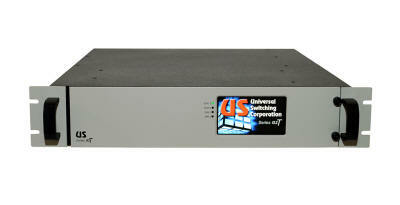 The unit delivers ultra-high signal performance coupled with very advanced remote/manual control and monitoring. Dual serial ports, or Ethernet and a single serial port configurations are available. 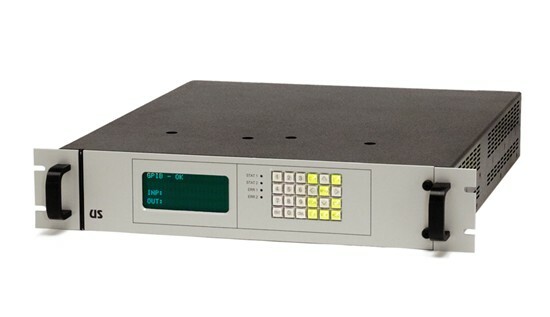 Designed specifically for the satellite and communications industry, the 1RU high rack mount unit provides the user with normal through paths for four channels of L-Band signals (four in and four out). Under front panel, remote serial control or direct alarm input control, the user can select a backup signal to replace a suspect L-Band input signal. Unit includes a 1:1 or 1:4 backup mode, and includes SMA connectors. Unselected ports are internally terminated in 50 ohms. 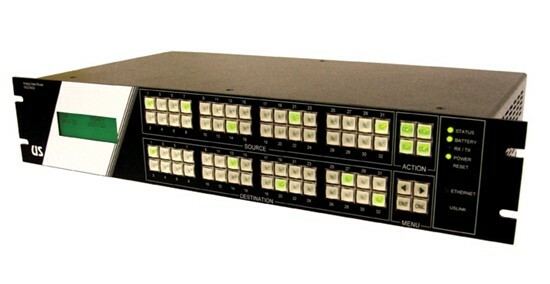 The 10946B Redundancy (transfer) Switcher provides backup input selections for signals between DC-6GHz. The unit delivers ultra-high signal performance coupled with advanced remote/manual control and monitoring. Dual serial ports, or Ethernet and a single serial port configurations are available. Designed specifically for the satellite, microwave, ATE and communications industry, the 1RU high rack mount unit provides the user with normal through paths for four channels of signals. Under front panel, remote control or direct alarm input control, the user can select an individual signal to change state. Optionally a termination can be included (suffix -T) to add four terminations to the unit changing the configuration of each four sections from a “transfer” function to a self-terminating 2×1 relay. 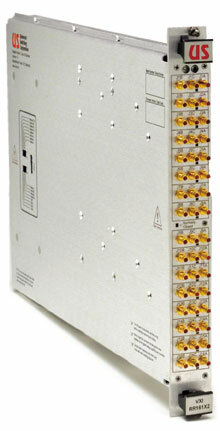 The 10948B Redundancy (transfer) Switcher provides backup input selections for signals between DC-18GHz. The unit delivers ultra-high signal performance coupled with advanced remote/manual control and monitoring. Dual serial ports, or Ethernet and a single serial port configurations are available. 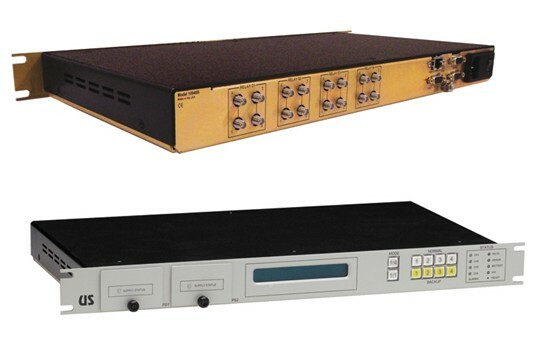 Designed specifically for the satellite, microwave, ATE and communications industry, the 1RU high rack mount unit provides the user with normal through paths for four channels of signals. Under front panel, remote control or direct alarm input control, the user can select an individual signal to change state. Optionally a termination can be included (suffix -T) to add four terminations to the unit changing the configuration of each four sections from a “transfer” function to a self-terminating 2×1 relay. There is also a factory option for 40GHz capability.